I love tactical WWII games. Tens of ASL, Combat Commander and Band of Brothers scenario were played through the years. But one tactical game stands out in my personal top chart. Welcome James Day’s Panzer/MBT. In this column, I’d like to introduce some points why do I love the game so much. 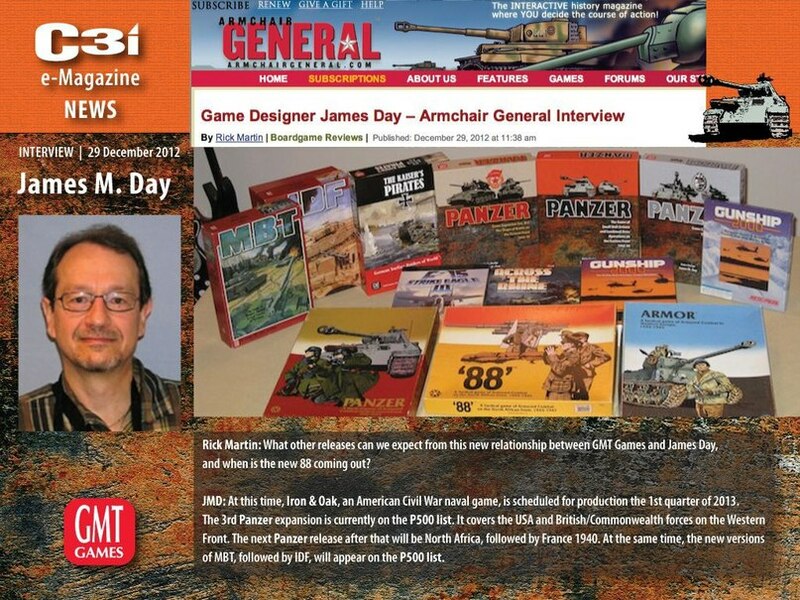 James Day – designer of the Panzer/MBT game system. You may find his interview to Armchair General very interesting. What is that game about? It’s name tells us that armored fighting vehicles stands at the core. The biggest part of the rules is dedicated to the AFV actions. Nevertheless, other branches of military such as artillery and infantry are not secondary in the game – their rules are deep enough, too. Panzer/MBT are the games with a long history. 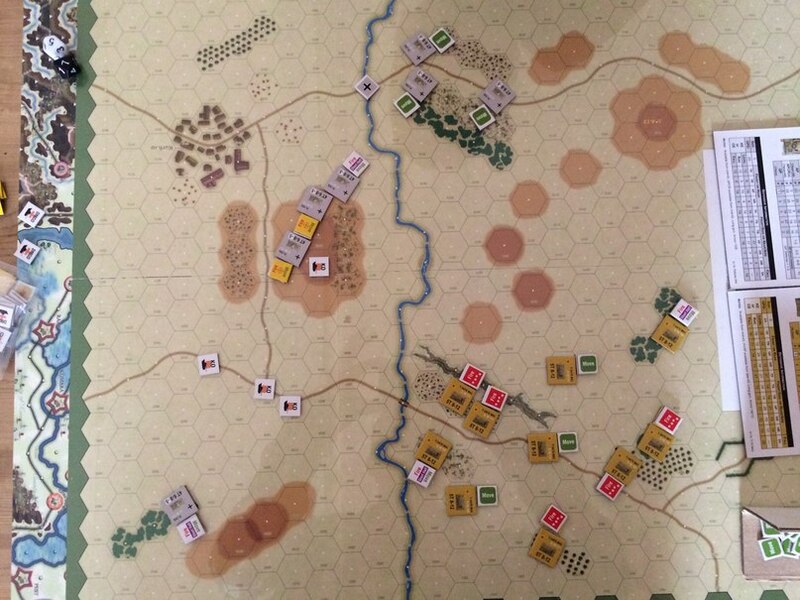 Several generations of wargamers are playing them for more than 30 years and the game is still regularly reprinted thanks to GMT Games. Let us dive right into the game and see what kind of combat tasks it sets before the players just after the setup. 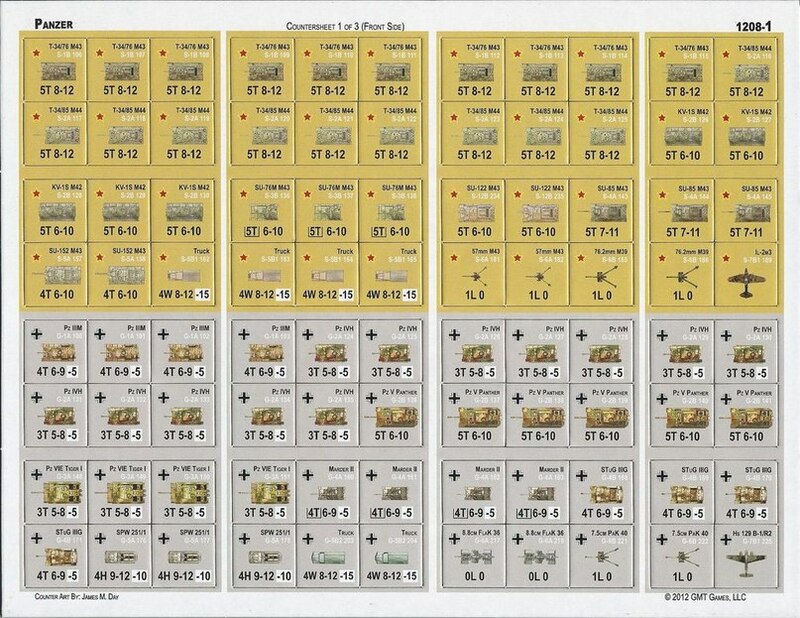 The game turn is starting with the spotting phase, so the players should figure out who may spot whom, after that both players simultaneously issues hidden orders to their combat units. The available pool of orders is quite diverse: move, stationary fire, short halt fire, overwatch and no command (dummy order). One may declare fire only on the spotted units, so if the unit didn’t spot anyone at the start of the turn, it may stay alert using overwatch order. Issuing the hidden orders. Photo by Borat Sagdiyev. The orders are issued. Who will move and fire first? 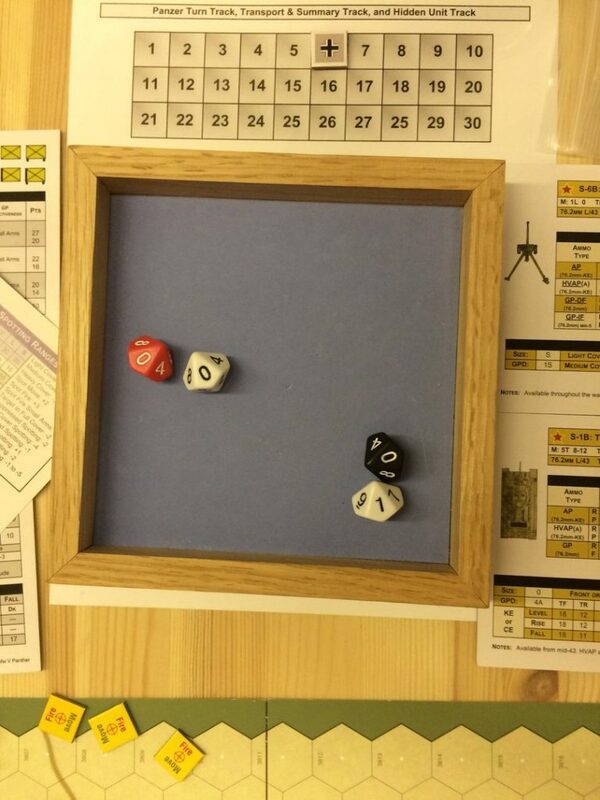 It is determined by the initiative roll: both players roll the d100 and the winner after all modifications chooses if he is going to move first or to fire first (the player who lost the initiative gets the remaining option). The initiative roll is quite unpredictable even with good modifiers for experienced units, so one need to issue the orders before the roll such way to be prepared to any outcome! The initiative roll. Be ready for everything! Tank-versus-tank fighting was more often than not an opportunistic clash fought from ambush with one tank knocking out the other before the opposing tank even identified the presence of the enemy… the side that spotted the enemy force and engaged first had up to a six-fold advantage. The real military officers agree with that point – in real battle you don’t know who will shoot first, so you must diversify your orders, attack with maneuver (menacing the enemy with the movement), maximize cover usage. The fire is the finishing stroke of your battle plan execution. Encirclement, local numerical superiority are the important parts of the game. If you don’t create the problems to the enemy, be sure, he will create some for you. Having been a former Marine armor officer, I so much wished I had them (MBT and IDF) when I was a lieutenant trying to teach my charges tank tactics. They were perfect for that. Soviet tanks use cover as much as possible, several units were ordered to move to become uneasy targets (opponent will not know it until he declares the fire) and the others are supporting them with fire (including short halt). Germans won the initiative but were crushed. Let’s return to the orders phase for a moment. Game playbooks contain detailed tables of organization and equipment for a reason. One may issue only limited number of effective orders that is usually lower than number of units and depends on the formation experience. So the game pushes player to share the one order between several units and act within the frame of real TO&E. The more experienced units are under your command, the easier is to share the single order between them, the more spare orders left for the other units. Soviet tank company. Enemy doesn’t know which tank is commander, because this information is hiddenly recorded before the game. 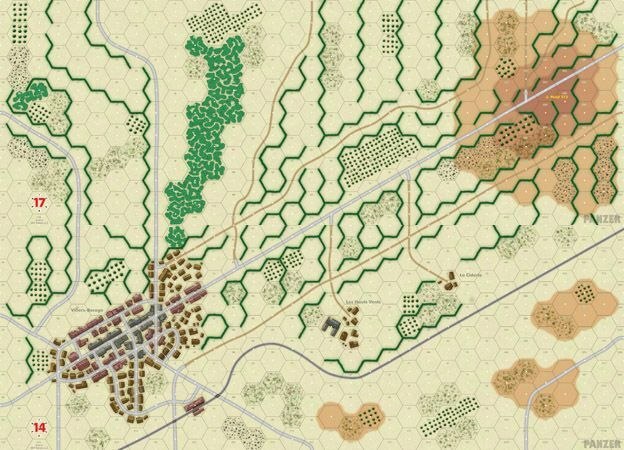 Speaking of the game scale, James Day elegantly fits infantry squads and single AFVs on map thanks to 100 meters hexagons. It’s normal for tanks to engage enemy on 2000 meters, so traditional scale used in other tactical wargames (30-50 meters) would result in need of huge maps. 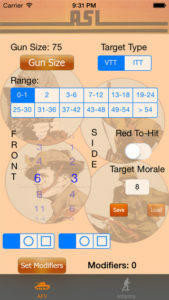 The chosen scale allows to describe the whole picture of panzer battle, including maneuvers outside of effective gun ranges. Example of Panzer units on countersheet. All the data friendly grouped into three sections. First section includes the movement, turret and ammo data, second one dedicated to gunnery parameters and the last one contains armor info. 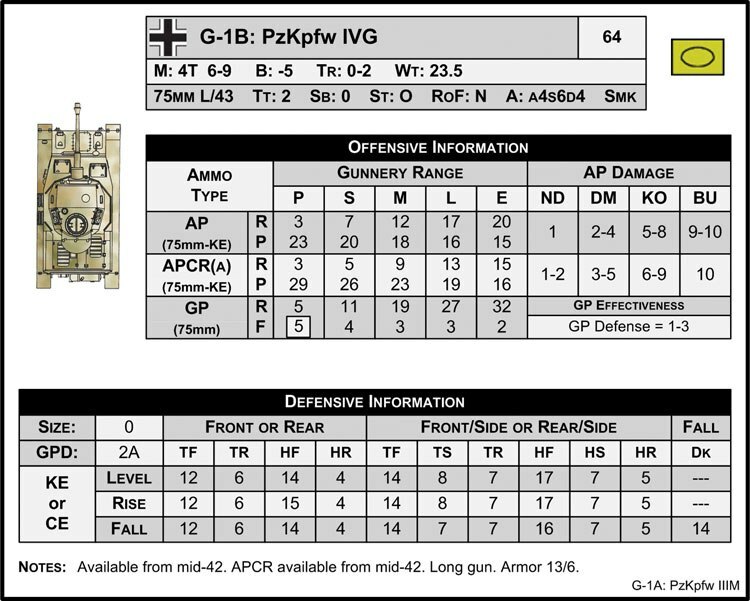 By the way, Panzer and MBT data card are fully compatible and scaled to each other in terms of numerical parameters. 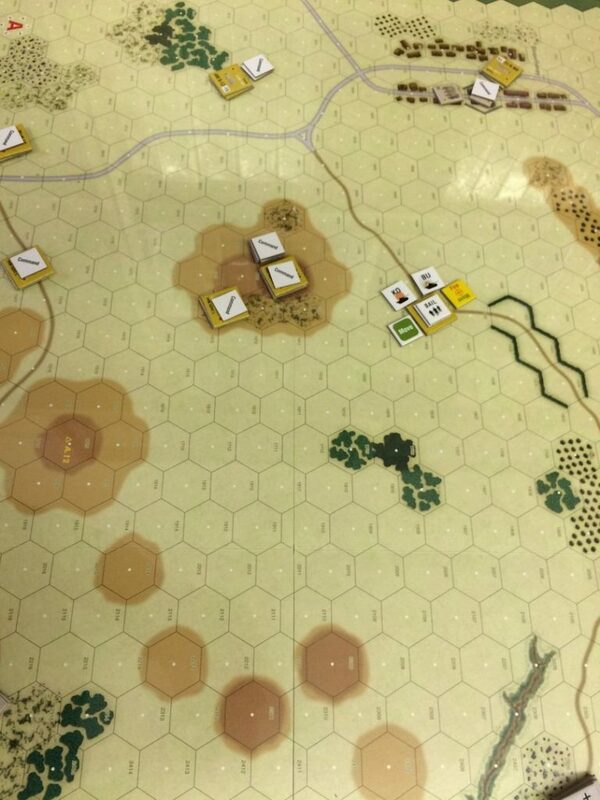 So it’s possible to play hypothetical scenarios like “Tigers” vs. “Abrams”. 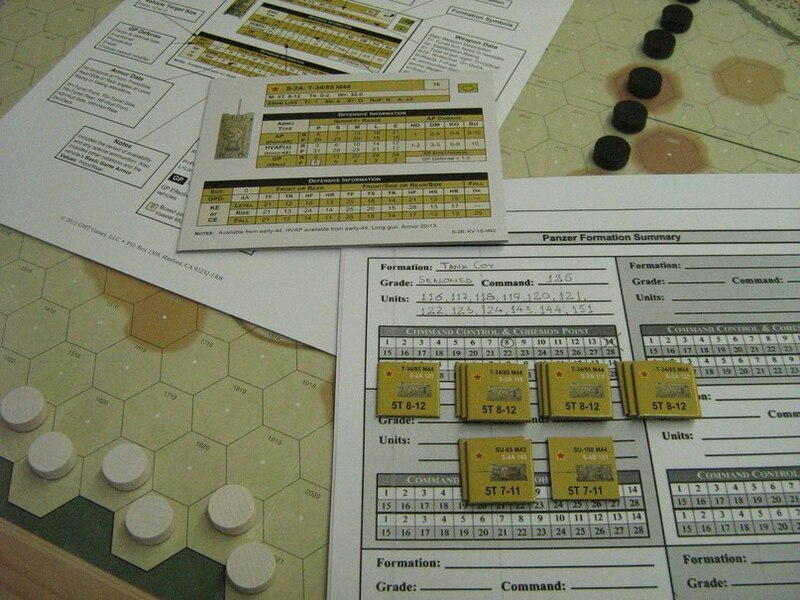 And all the rules you learned in Panzer can be used in MBT! 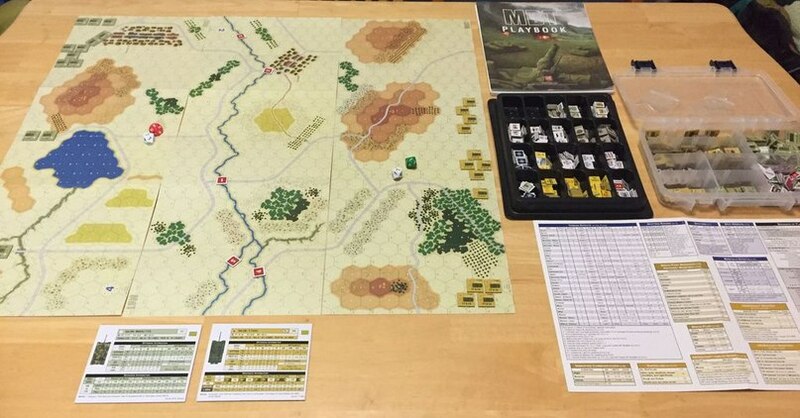 MBT first scenario setup. Panzer and MBT not only look similar, they are also fully compatible! 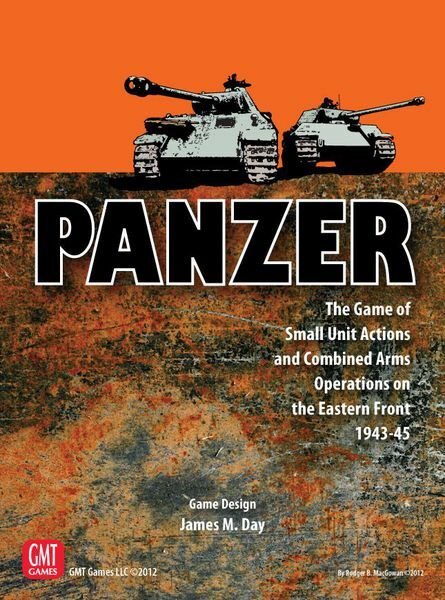 The game’s details deeply unveil the range of possible tactical capabilities and outcomes of panzer clash. Let’s turn to the fire effect. The projectile may kill the crew, destroy the vehicle turning it to the burning wreck, damage the vehicle systems like tracks or turret, suppress the crew or make the bail out or just bounce. Soviet tank platoon moved via track under shared move order but got into the German crossfire. One vehicle is knocked out, another is burned and the crew of the last left the machine. 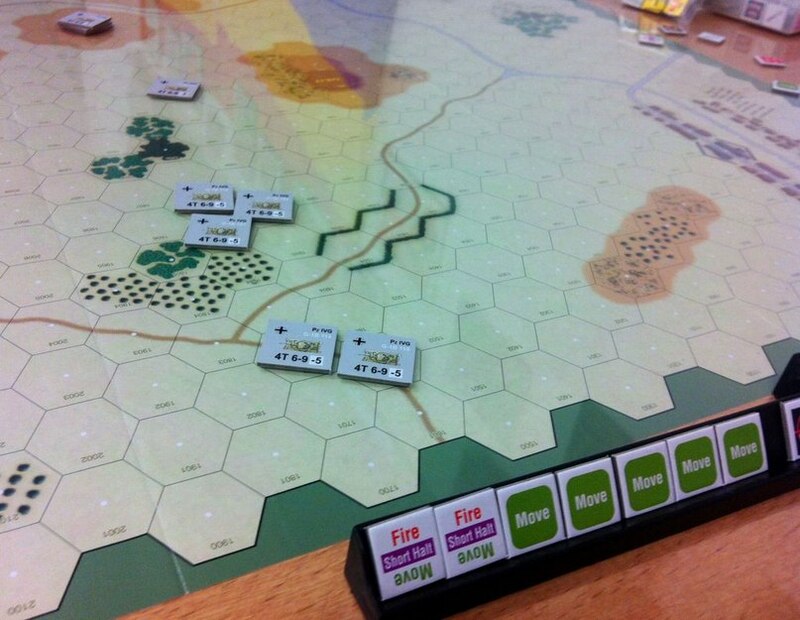 Players will meet a lot of interesting tactical situations connected to fire effect: damaged track of the well armored AFV leaves it as “important player” on the one hand, but allows the opponent to shift the emphasis of the battle on the other. Players need to rescue damaged vehicles to not make them easy targets for the enemy and retain the good number of available orders (the more units destroyed, the less orders left). 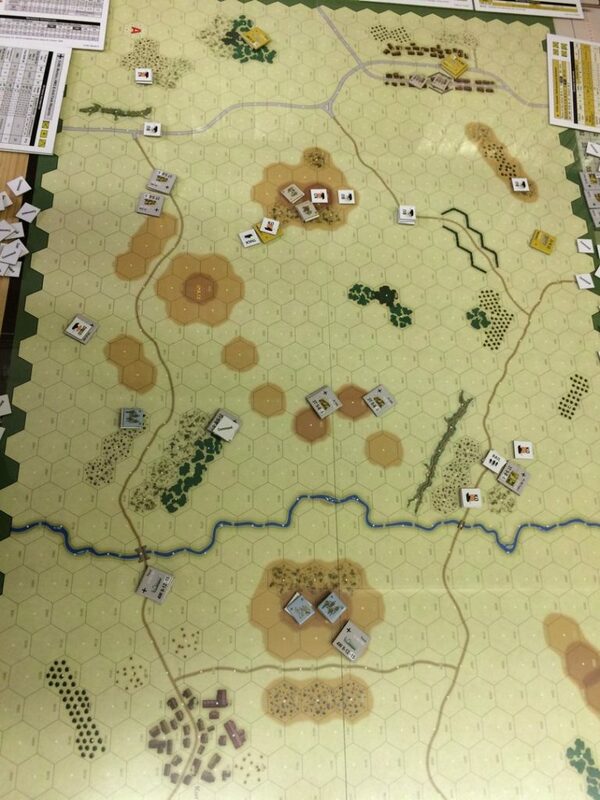 Game also provides a lot of tactical capabilities like hull down, entering the buildings (with possible bogging down), infantry transportation, artillery SHEAF options, air support, several types of close combat (hand-to-hand, assault, overrun). If you have a situation on the battlefield – check the rules. More than likely it was taken into account. Let all variety doesn’t scare you, as you may adjust the ruleset by your preferences. There are three core rule blocks: basic, advanced and optional. Want to introduce the system to new players? Use the basic rules. Want to include detailed fire and armor system? Add advanced concepts. Want to activate every detail? Bring the optional ruleset with units morale, turret rotation, hidden units, counter battery fire, etc. Map of the historical Villers-Bocage scenario (Panzer Expansion #3). The game is always developing (now we have the second edition printed by industry leader GMT Games). Every expansion not only adds new vehicle park but also place players into well known historical battles. I hope I gave rise of interest in your heart and you will try this fascinating game. It defenitely worth it!